A flood of women’s memoirs seem to have landed in the literary marketplace, along with quasi memoirs for children. Not only confessionals and more discoveries about our gender and its vicissitudes, but revelations of rebellious girls of past generations, (Brazen: Rebel Ladies who Rocked the World and the best-selling Good Night Stories for Rebel Girls) chronicling the modest origins of today’s heroines and celebrities– political, academic and artistic. Our herstories seem inexhaustible. Among Third World writers, we include those in the Diaspora, for example Arab American women —Suheir Hammad, Susan Muaddi Darraj, Evelyn Shakir, and Ghada Kanafani, to name just a few– now penning an extraordinary number of personal accounts, many of them non-fiction. This, in contrast to Arab and Muslim men (e.g. well known novelists like Abdelrahman Munif, Rabih Alameddine, Rawi Hage, Mohsin Hamid, and Haroon Moghul) most of whom seem to forgo memoir for fiction. Before being diverted by an abundance of autobiographies and semi-fictional accounts of refugees from Syria and other war zones, I opened two new memoirs by my Arab American colleagues. One is Looking Both Ways (Cune Press, 2017), a collection of essays about ‘being Arab in America’ by poet and short story author Pauline Kaldas. The other is attorney Alia Malek’s account of the ‘trying to be Arab’ –a phrase I apply with some empathy– in her family’s homeland, Syria, an endeavor launched just the year before and then observed during the uprising and war there. With her special interest in civil rights and author of a fine collection of biographies of Arabs in the US (A Country Called Amreeka, 2009), Malek went to Syria nine years ago ostensibly to restore her family apartment in Damascus, then, between unexplained excursions to Egypt, stayed long enough to record the earliest months of what became a terribly destructive and relentless conflict. 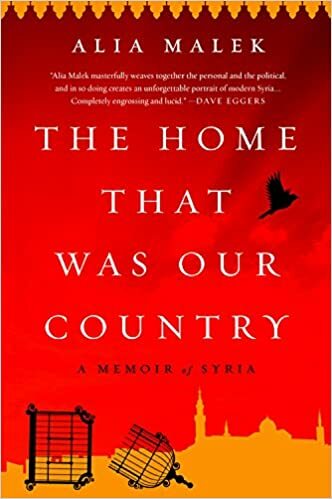 Malek’s new book is The Home That Was My Country: A Memoir of Syria (Nation Books, 2017). It carries eerie echoes of House of Stone: A Memoir of Home, Family and A Lost Middle East, by prize-winning journalist Anthony Shadid who died on assignment soon after resorting his ancestral home in South Lebanon. Differences between Kaldas’ collection and Malek’s war chronicle are sharp. 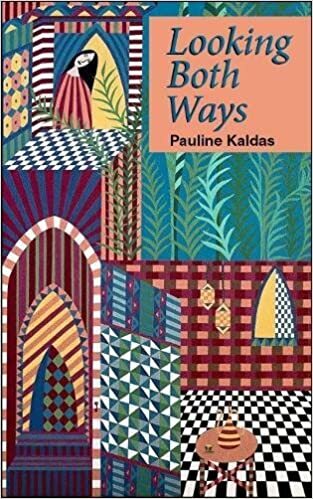 Looking Both Ways takes us on a mostly agreeable journey through Kaldas’ childhood move from Egypt to the USA, graduate studies in literature, her family and college life, and a revisit to her homeland during its post-Mubarak transformation in 2013. Kaldas’ inviting style will make any reader, but especially Americans, feel kinship with her. This, while her carefully crafted chronicle of encounters living in America exposes the often unspoken and nuanced tensions of ‘being Arab’ here. Kaldas infuses her perspective with both humor and a benign philosophy. Malek’s recounting of her family’s tales is, in contrast, sadly absent of any intimacy. Her chronicle is instead shrouded by an almost inherited bitterness towards the country, an acrimony one sometimes finds among the earlier generation of Syrian immigrants, even middle class families like Malek’s who were voluntary émigrés. Even before the uprising in Syria and despite a decision to write her home-story around a colorful maternal grandmother, she’s unable to convey any warmth in the memories gathered from her circle of relatives and their neighbors she interviews. Malek’s bleak interpretation of Syria is understandable. Having set out to deepen her personal and cultural identity in a house and a homeland largely unknown known to her, Malek chose an inopportune moment to do so. Any view of the many fine qualities and achievements of modern Syria is obscured when the country is fracturing terribly and beginning to unravel. Her account of the uprising and the ensuing crackdown and chaos, although unarguable, is absent of any appreciation of what the country had accomplished over the past quarter century. The book will serve as another indictment of the government. There is simply nothing redeeming coming out of Syria, whether journalistic chronicles like Malek’s, or Burning Country, or a number of new children’s books, e.g. Escape from Aleppo, My Beautiful Birds, Refugee, The Land of Permanent Goodbyes, all but one authored by women. Notwithstanding the differences between the locales and the styles of Kaldas and Malek, their writings illustrate the extensive possibilities that lie in memoir. First, memoirs augment the many critical journalistic and political analyses in our (sorrowful) Arab history. Second, they are the voices of women for which there seems to be both literary scope and an infinite market. Which brings me to the abundance of women authoring Third World memoirs. Why are so few of our men penning personal chronicles? Why the public fascination with our women? Reviewing over four decades of literature on this part of the world, it seems evident:—it’s the appeal of ‘the victim’. 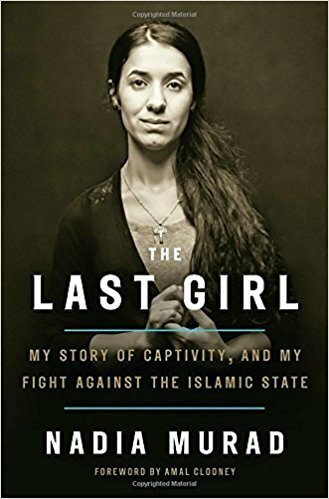 In addition to the inexhaustible stories of hardships by and about Arab and Muslim women, with Palestinian narratives the most pronounced and in a category or their own, we now have Yazidi women of Iraq, The Last Girl: My Story of Captivity and My Fight Against the Islamic State, The Girl Who Beat Isis, and most recently, TheBeekeeper: Rescuing the Stolen Women of Iraq by Iraqi poet Dunya Mikhail. Arab women’s painful lives are matched by many others, ranging from Nobel laureate Malala Yousafzai’s autobiography to a new memoir coauthored by Celemtine Wamariya, a Rwandan woman (The Girl Who Smiles Beads: A Story of War and What Comes After). One could posit that narrators of these testimonies are in fact heroines because they survived and overcame adversity. This argument could be valid if they accompany a wide range of stories. However these narratives are often the only personal accounts from those countries and cultures accessible to us. Only when a crisis erupts is a journalist sent there; the suffering witnessed is part of the news, and part of the exoticism. Could the preoccupation with women’s memoirs be an outcome of the western feminist movement of the 1970s where women of European origin, caught up in an inchoate pride of self-discovery, rushed across the globe and into their (own) inner cities, not to find parallel revolutions or third world women to model themselves on but mainly to document how others were still confined and in need of liberation? Anthropologists and journalists enthusiastically documented myriad manifestations of female oppression, abuse, inequality, patriarchy and misogyny practiced elsewhere (including among non-whites in their own culture). These celebrated– yes, celebrated– sad stories may continue to be published because of a public thirst for victims. Or they may dwindle while Americans and Europeans now turn the lens inward and chronicle a neglected violent, patriarchal, misogynist culture newly exposed in our own unliberated households, board rooms, universities and offices. Just as suffering ‘Third World’ women’s chronicles present a misguided means of building solidarity and documenting a more evenhanded history, the same may apply to refugee children’s stories. A recent review of several children’s books portrays young war-victims with some sympathy. Yet, it should be remembered that these stories are often the only means through which American and European children learn about Syria, Palestine, Pakistan, and other distant lands; those tales of suffering become a prism through which they may eternally view ‘others’. I cannot advocate that we not pen memoirs, only that we recognize how market and political forces exclude some stories and champion others. Without women’s memoirs so much of social and political history would remain altogether hidden. Dr Aziz is the author of Heir to A Silent Song: Two Rebel Women of Nepal, published by Tribhuvan University in Nepal in 2001, and available through Barnes and Nobel. She is a frequent contributor to Global Research.